Jaguar's XF, the brand's effort to attract younger buyers, has become a full-fledged player in the mid-size luxury-sedan segment. Its engine and driveline choices expand dramatically this year, which combined with its sumptuous cabin and fine driving dynamics, lets the Jaguar XF stand among the best that BMW, Mercedes-Benz and Lexus have to offer. Xf jaguar overrated for a luxury vehicle. .
My jaguar does not ride smoothly. It use a lot of gas. It is not an everyday vehicle. Maintenance is very high. This vehicle in my opinion is for show, it is a beautiful car. It is not for the average joe. However, I have enjoyed having my if. My wife loves my car, but she never drives it. She appreciate the heated seats, steering wheel, and screen for the rear window. Overall, I would not recommend anyone to purchase this vehicle. Blind and sensitive. That is two of the issues with the car. I like the look of the car. It has needed very few repairs. It has been reliable without any issues. There are sensors on the back bumper for reverse driving. When someone taps the bumper these sensors are easily dislodged and need realigning. There is a blind spot that can be very dangerous. Jaguars are a misunderstood brand and are very well made, innovative , and reliable vehicle. My car is beautiful and timeless in design & creature comforts. It is good for handling business or just the thrill of acceleration privately. I have no dislikes or complaints. Jaguar will notify owners, and dealers will inspect, and install if necessary, an additional wiring harness to the in-tank fuel pump, free of charge. The recall is expected to begin April 17, 2015. Owners may contact Jaguar customer service at 1-800-452-4827. Jaguar's number for this recall is J051. Jaguar will notify owners and dealers will re-acquire and will provide a replacement vehicle or a full refund of the purchase, free of charge. The recall is expected to begin April 24, 2014. 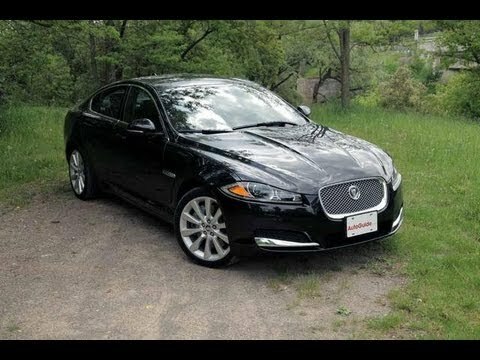 Owners may contact Jaguar at 1-855-524-8278. Jaguar's number associated with this recall is J039. Jaguar will notify owners, and dealers will inspect the CAC hose to make sure its clamp is in the correct position and tight, free of charge. The recall is expected to begin by September 27, 2013. Owners may contact Jaguar at 1-800- 452-4827. Jaguar's recall number is J034. Jaguar will notify owners, and dealers will replace the nut and washer assembly on the rear toe links, free of charge. The recall is expected to begin around May 27, 2014. Owners may contact Jaguar at 1-855-524-8278. Jaguar's number for this recall is J037. Jaguar will notify owners, and dealers will replace the front passenger air bag assemblies, free of charge. The recall is expected to begin February 28, 2018. Owners may contact Jaguar customer service at 1-800-452-4827. Jaguar's number for this recall is J071. Jaguar will notify owners, and dealers will replace the FEAD pulley assembly, free of charge. Owners were sent interim notifications on May 28, 2016. Owners will receive a second notification when remedy parts become available. Owners may contact Jaguar customer service at 1-800-452-4827. Jaguar's number for this recall is J061. Jaguar will notify owners, and dealers will replace the front passenger air bag assembly, free of charge. The recall is expected to begin February 28, 2018. Owners may contact 1-800-452-4827. Jaguar's number for this recall is J072. Jaguar will notify owners, and dealers will inspect the CAC hose to make sure its clamp is in the correct position and tight, free of charge. The recall is scheduled to begin in late May 2014. Owners may contact Jaguar at 1-800-452-4827. Jaguar's recall number is J034. Note: This recall is an expansion of recall 13V-341.